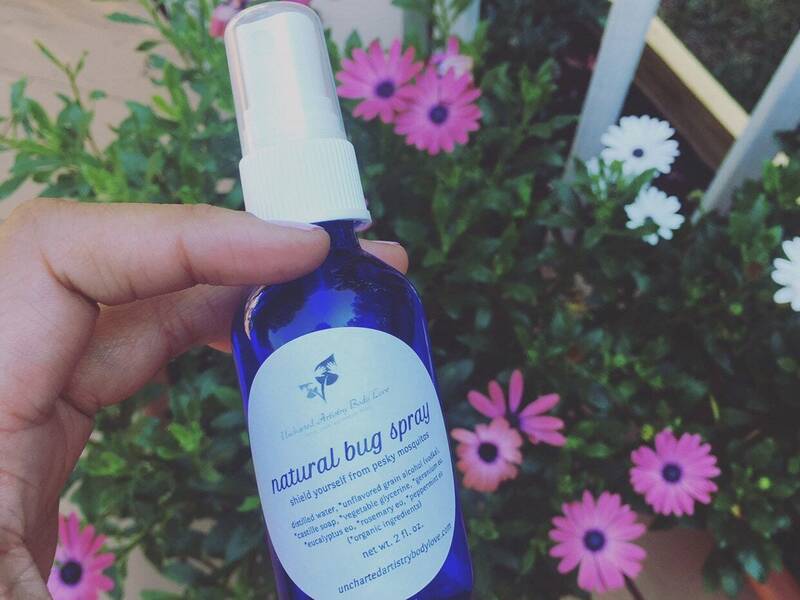 This natural bug spray is 100% deet free and just as effective if not more effective to shield yourself against those pesky mosquitoes and the potential diseases they carry, yuck! We blended natural and organic ingredients and essential oils to bring you the best insect repellent that will be your go to bug spray for years to come. My backyard is full of beautiful flowers and trees and it has become my zen spot and my boyfriends favorite place to just sit and be peaceful... unfortunately we are magnets for mosquitoes and our peaceful relaxing time isn’t so peaceful anymore. We have tried so many “natural” bug sprays and yet we are still covered in bites. We have to warn people that come over to bring your bug spray because everyone (even those who usually don’t get eaten alive) are always swatting and scratching at the bites they get. That is when we decided to create the perfect natural bug spray and give all of our friends a bottle to try and holy smokes what a great few nights outdoors with our friends and family. Everyone was enjoying themselves and not doing the swatting dance all night. Of course you will still see mosquitoes and get itchy because you feel like they are all over you but then you notice you haven’t really gotten bit. What a relief! We can finally get back to our zen spot without the fear of being devoured by mosquitoes. Happy dance time! If you have the same issues with mosquitoes give our natural bug spray a try, you’ll be happy you did. 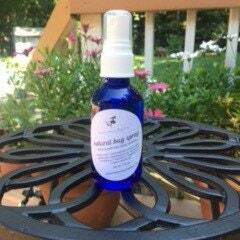 Simply spray exposed skin with our natural bug spray and relax and enjoy yourself. Make sure you spray everything even your feet and the most forgotten, the back of your neck, I even give my face a light mist because I tend to get bit on my forehead for some reason, haha what a sight that was!